According to Engadget, Google will release Duo today. 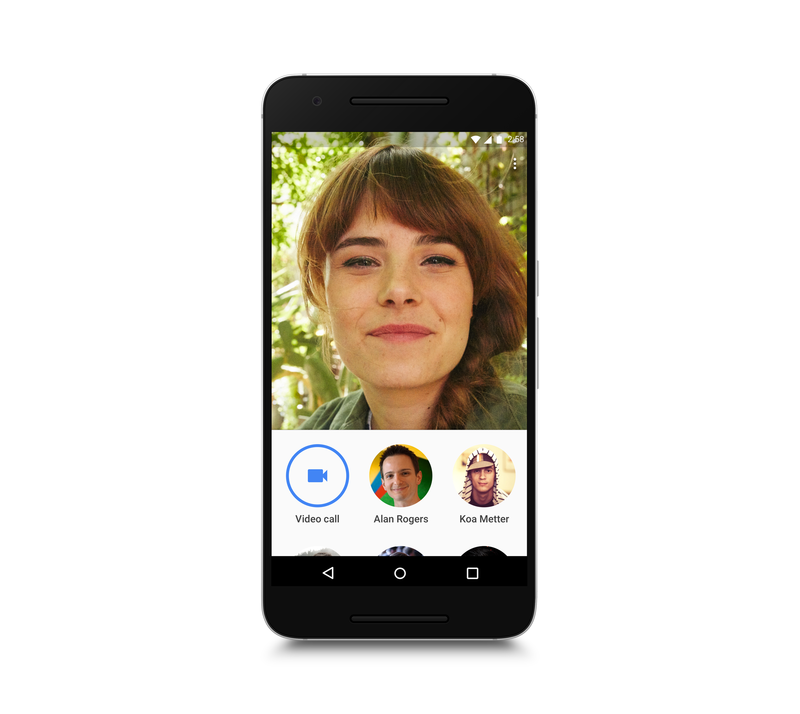 Back in May at its I/O developer conference, Google introduced a pair of new communication apps: Allo for text-based communication and Duo for video calling. Allo is the more interesting of the two, with its deep usage of the intelligent Google Assistant bot — but Duo is the one we’ll get to try first. Google hopes it’ll stand out among a bevy of other communications apps thanks to a laser focus on providing a high-quality mobile experience. It’s available today for both the iPhone and Android phones. Google designed it to work across a variety of network connections as well. The app is built to provide HD video when on good networks and to gracefully and seamless adjust quality if things get worse. You can even drop down to a 2G connection and have video pause but have the audio continue. “We’re always prioritizing audio to make sure that you don’t drop communications entirely,” Fox said. All of this is meant to work in the background, leaving the user with a clutter-free UI and basically no buttons or settings to mess with. Once you sign into the Duo app with your phone number (no Google login needed here), you’ll see what your front-facing camera sees. Below that are a handful of circles representing your most recent calls in the lower third of the screen. You can drag that icon list up and scroll through through your full list of contacts; if people in your phonebook don’t have the app, you can tap their number to send an SMS and invite them to Duo. For those who do have Duo, tapping their number initiates a video call. Once you’re on the call, you just see the person you’re talking to, with your video feed in a small circle, not unlike Apple’s FaceTime. Tapping the screen reveals the only UI elements: a hang-up button, mute button and a way to flip between the front and back cameras. Duo is even simpler than FaceTime, and far simpler than Google’s own Hangouts app, which the company says will now be more focused on business and enterprise users. In that focus on simplicity, Fox and his team left out a number of features you might find in other video-calling apps. Chief among them is that Duo can’t do group calls; it’s meant only for one-to-one calling. Google also decided against making desktop apps for Duo or Allo.